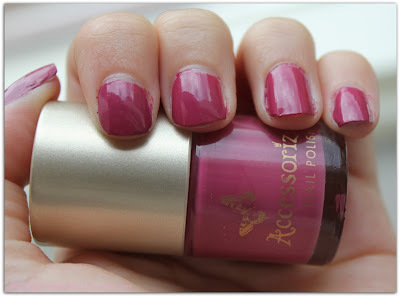 Today I'm showing you the swatches of my new Accessorize nail polish in the colour Heart beat. This gorgeous nail polish only needed one coat, isn't streaky at all & dries super fast ! What's your favourite Accessorize nail polish?